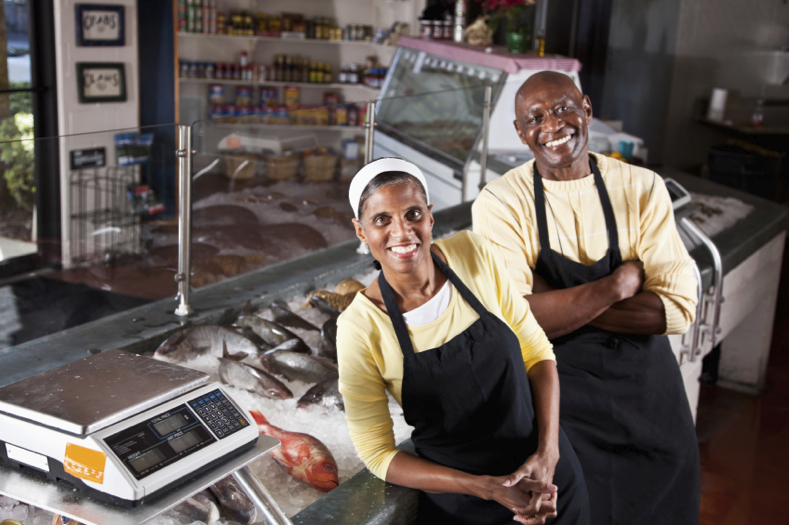 This post was first published by Advocates for Independent Business (AIB). 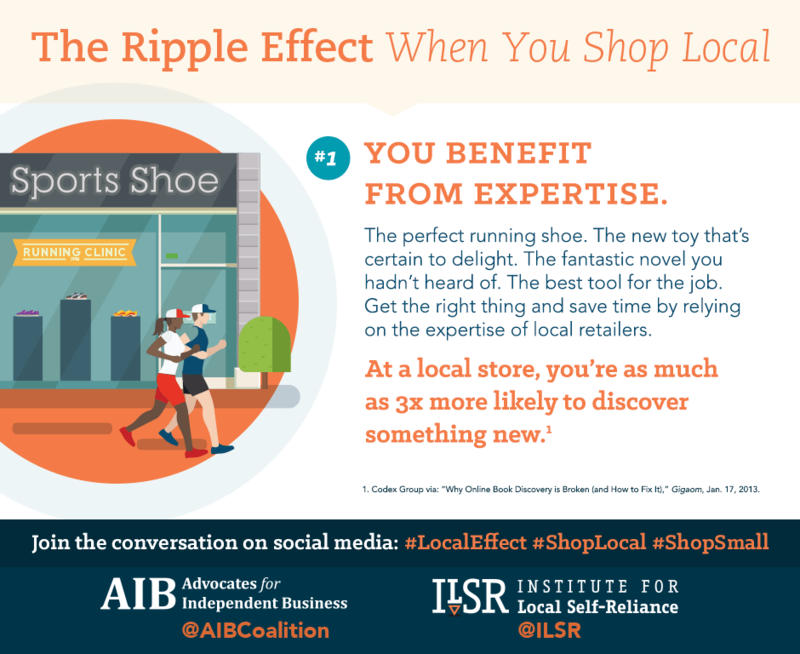 When you choose locally owned businesses for your shopping, you create a ripple effect. 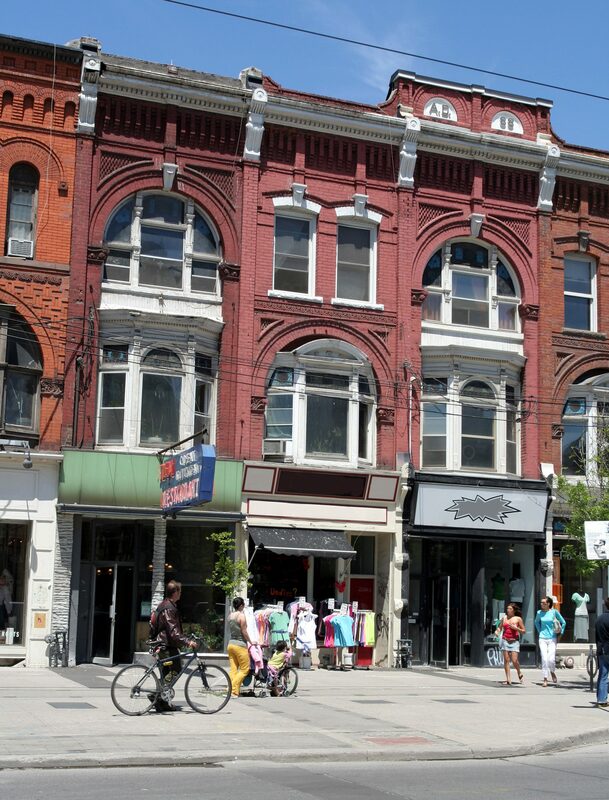 It starts with your own experience, and the benefits that you get from shopping at independent stores, like getting to rely on local retailers’ expertise. But then, the effects keep going. 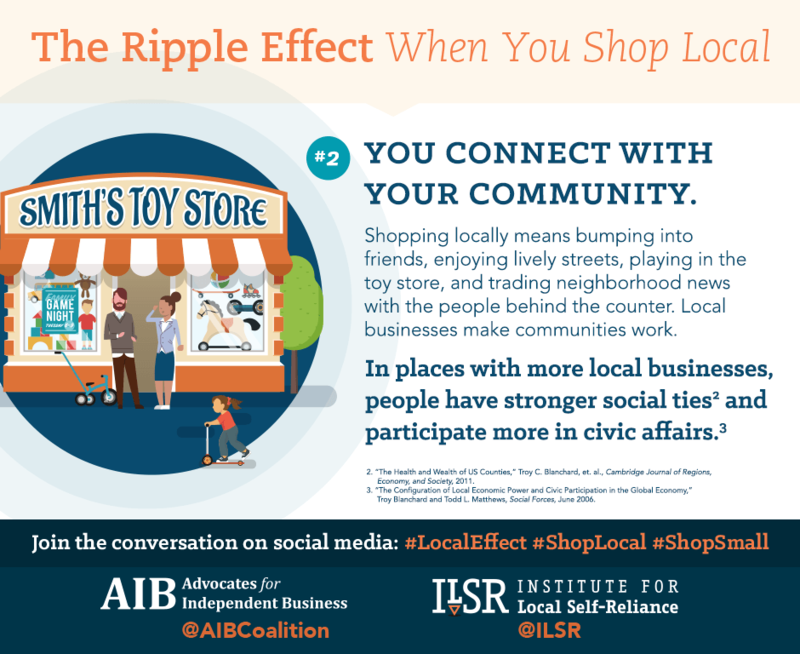 By shopping at local stores, you connect with your community. You strengthen your local economy. And finally, as the circle of ripples extends out, you cast a vote for the American dream. 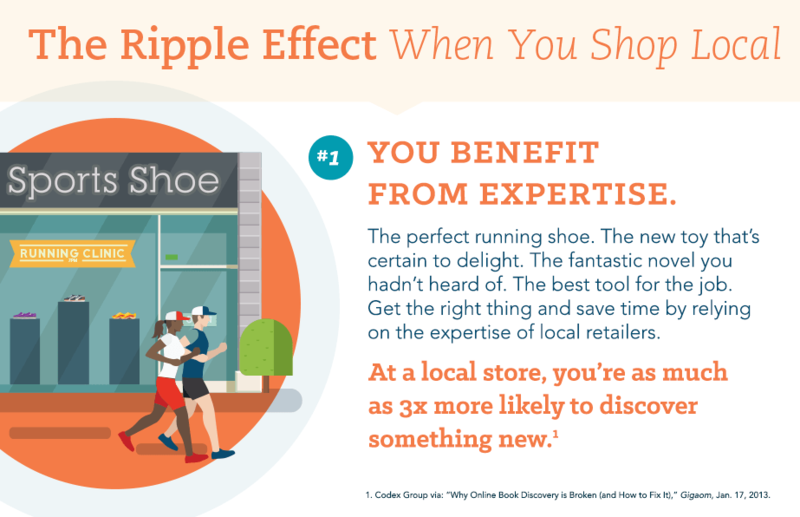 Here’s what happens when you shop with a locally owned business — starting with you. 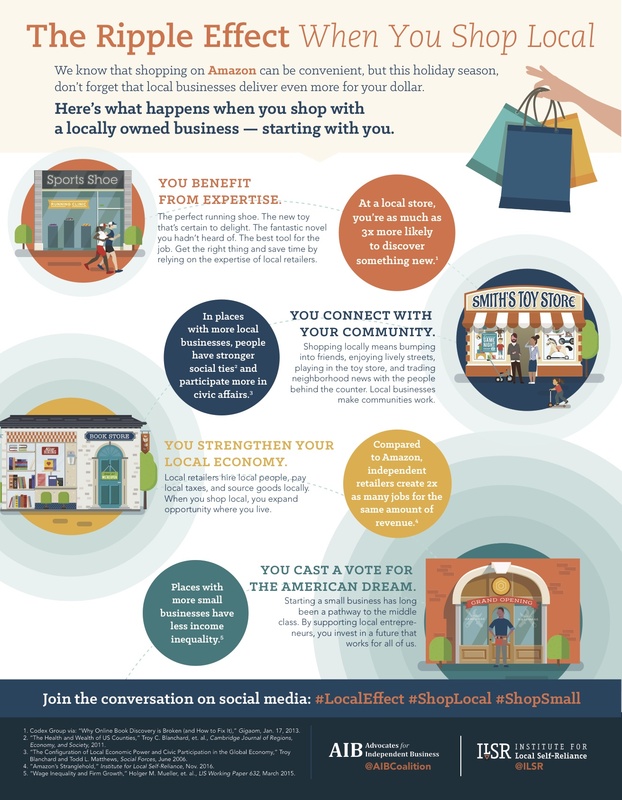 Click the image below to view the infographic at full size, and scroll down to see four graphics sized to share on social media. This graphic is also sized to print as a flyer on regular 8.5 x 11″ letter paper. Just drag this image to your desktop, right-click to save, or click here to download a full-sized PDF file. If this graphic resonates with you, please feel free to share and distribute widely, in print or online! Below are four graphics sized to share on social media. Just drag to your desktop or right-click to save! The first ripple: You benefit from expertise. The second ripple: You connect with your community. 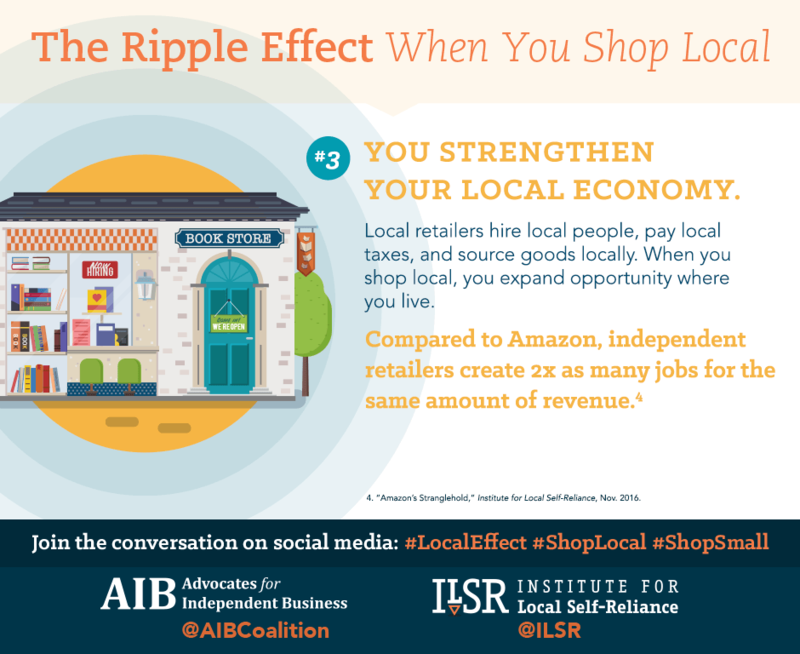 The third ripple: You strengthen your local economy. 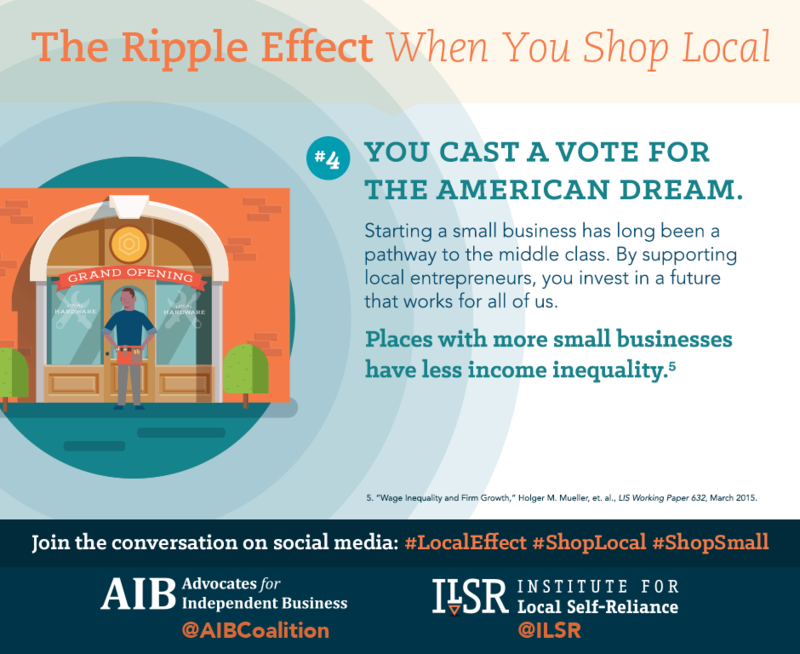 The fourth ripple: You cast a vote for the American dream.